As human beings there are always ways of improving your performance – whether as an Olympic athlete, nuclear scientist or a top-ranked professor, the elite are always looking to push their bodies to the limit or extend their thinking to new horizons. And it’s not just the elite. Weekend warriors and everyday people are forever looking to improve themselves – some may only last for a few weeks in January or aim to peak for that beach-body in the summer months, others will keep it up for the long-term. ‘Concentration’ – the action or power of focusing all one’s attention – is something which can be worked on, improved and developed all year round. So, as it’s cold, wet, snowy and windy and will be for the rest of this season, let’s take a look at four winter activities to improve your concentration. If you are one of those people who really can’t stand the cold, dark winter months then maybe you should embrace the opportunity of making your indoors as warm and cosy as possible. Stick some thick logs and coal onto the fire and lean back on the sofa with your favourite movies on repeat… that might embrace the warmth but would be awful for your concentration! Make the most of this self-enforced indoor period by revisiting some of the world’s top-rated card games. Popular games include Rummy, poker, and Crazy Eights which will certainly test your concentration and bring out your competitive spirit. 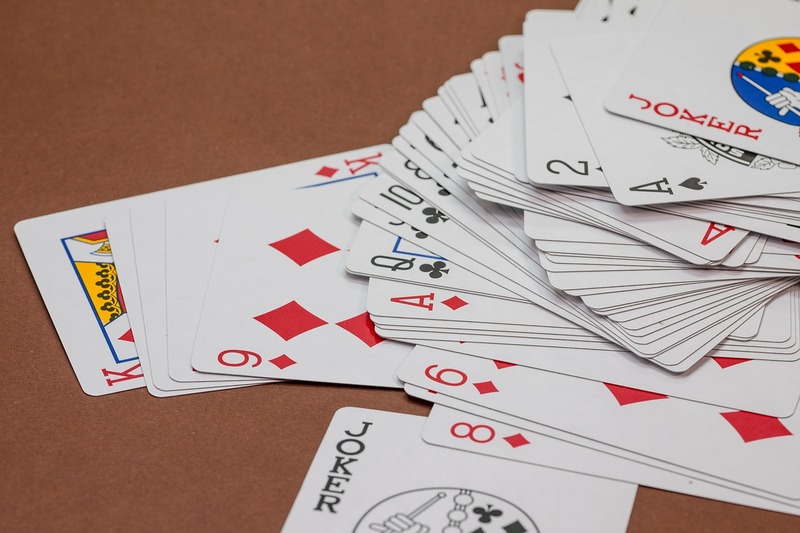 It’s essential in card games like poker to keep your focus at all times, particularly when it comes to watching your opponent’s moves and determining if they may be bluffing. This makes it a really exciting game but requires a great deal of discipline and concentration. If you’re not sure about the rules, here is a printable cheat sheet to take with you. Okay, now we’ve dealt with the snowflakes who can’t hack the sub-zero temperatures, let’s make the most of what a snowstorm or blizzard offers. Put on numerous layers, dust off the gloves, scarf and hat – we are going outside. Unless you’re a builder by trade there’s every chance that you don’t spend the majority of your time constructing. Thick snow gives you the opportunity to add to your CV and become the builder you never knew you were. When else would you get the chance to build a structure the size of an igloo or roll a natural substance into something the size of a snowman? However, as we all know, if these skills don’t come naturally then you’ll need to concentrate pretty hard to get them right. If you live somewhere that snow doesn’t come all that often, you’ll also need to concentrate on the weather and ensure you don’t miss the white stuff! At some point in your life you’ll find an excuse not to exercise – some people find these excuses on an hourly basis, others save them for an annual outing. Either way, it has been proven that regular exercise releases brain chemicals which help to improve your memory, concentration and brain sharpness. You’ll also get that endorphin hit which comes with getting a sweat on so it really is win-win. Get outside, relish the crispness underfoot and enjoy not dripping under the summer or spring sun of the London Marathon. Or if you really have to, join a gym and do it all indoors. No excuses allowed. Billy Ocean’s famous 1985 love song ‘Suddenly’ talked of “beauty up above and things we never take notice of”, so maybe he was actually talking about the winter landscape? Unless you live in a one season climate then there’s every chance that come winter your local natural settings look a lot different than in the summer. This gives you a great opening to take up a new hobby like photography and begin to take notice and document all the changes. Now, you’ll easily spot the difference between a snow-capped tree and a leaf-laden tree with birds singing in it, but those with a real eye for detail will pay attention to the smallest and most subtle changes. There are certainly hundreds of other winter activities out there and doubtless there will be some amongst them that can help you to improve your concentration as well. And whilst it’s fair to say that the cold and dark can sometimes hinder our desires to get up and kick-on, you should find above an activity which suits you and which can take you to the next level.